Own an E-commerce Store everyone wants to buy from! With retail e-commerce projected to grow to 4.88 trillion US dollars in 2021, hundreds of e-retail stores are being launched every day and only a well-designed ecommerce store with intuitive user interface can help you sail the waves of this intense competition. Nowadays, catchy visual elements, flashy presentation, and placing some CTAs aren’t enough to beat the competition, drive traffic and generate great business; for this you need a brilliantly designed, extremely functional e-commerce store. So far, we have designed and delivered more than 15k ecommerce stores that are offering an ultimate user experience, exceeding the expectation of users, multiplying ROI. Established in 2006, Four Lines Industries LLC has been winning the trust of clients through its scheduled operations and excellent customer support services. We design, craft, develop and trade products to clients across various sectors including Oil & Gas, Petro-Chemical, Military, Food and Beverage, Dairy, Construction, Transport and Logistics. We are recognized for offering premium grade storage and transport systems around Ras Al Khaimah, United Arab Emirates. WeblinkIndia.Net Pvt. Ltd., a celebrated name in the domain of ecommerce development, has designed and developed the website for Four Lines Industries LLC. World’s largest travel portal, TourTravelWorld.com was created in the year 1997. It is one of the most browsed portals for Tour Packages, Hotel deals, World travel Guide and Travel Agents. It is browsed by thousands of travelers for hot tourist destinations across the world. WeblinkIndia.Net is the name that has the credit of designing and handling TourTravelWorld.com. 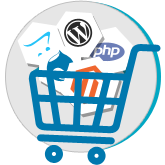 WeblinkIndia.Net is supported by smart professionals for Linux Hosting, Static Web Designing and PHP Web Development, thus providing excellent e-commerce solutions. What Makes Our E-Commerce Web Designs Better Than The Rest? Our E-commerce Web Designs are crafted after a strategic analysis of your business model, history, needs, objectives, target audience, competition, etc. From these details, we extract out the coherence and consistency that build Brands and etch them in customer's memory. Here's how we do it in our Web Designs. Prominent display of your Brand Name, Logo and Tagline. Showing related products to customers helps you to up-sell or cross-sell your product for a better deal. This type of marketing influences the visitors to spend more time & bucks on your website by displaying the products he/she has shown interest in the past. No customer would want to scroll through thousands of products to find the one they want. 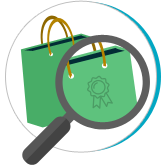 Product filtering lets your customer customize their E-commerce experience & get exactly what they are looking by filtering their search on the basis of price, size, popularity, color, popularity, design, etc. For enhancing the overall experience of the customer keep the checkout process simple and quick. 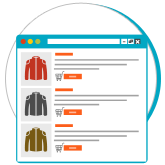 Your E-commerce website should be loaded with a dynamic shopping cart, clear check-out page, and cart page. Also, intimate the user once the payment is completed by sending an Email and allow him/her to track his order whenever needed. Stats show that around 65% of the visitors on E-commerce Websites abandon Shopping Carts without completing the transaction. In order to keep the user experience smooth and assure the customers that their products are added in the cart, integrate a small cart symbol in your E-commerce website that dynamically signifies how many products have been added to the cart. Whether you manage orders on your own or integrate a 3rd party system for the job, there must be a smooth, reliable and error-free flow of the data of the sales, shipping orders, customer information and other order details. The efficient management of accurate data helps you in streamlining the sales process & enhances overall user experience. 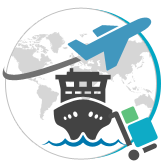 Some customers would want their products to ship immediately while others would be happy with a slow and less costly alternative; therefore, it is vital for an E-commerce website to offer multiple shipping modes to the customers. Also, to enhance the billing experience, allow the customer to calculate the shipping amount before the checkout process. 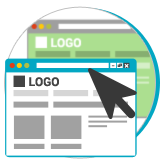 When it comes to selling through websites, then web pages with a well-defined layout and objective are a must. Let’s understand it better with an example of Home Page of your Ecommerce website. It must be designed in a way that the buyers are encouraged to click on the category pages so that they can easily locate products they’re looking for. Wait for a sigh of relax! And once the buyer reaches a desired product page, it must serve as one-stop solution for all his doubts/queries to facilitate on-spot selling. Finally to bag the deal, it’s very important that shopping cart on website ensures an easy checkout and quick payment processing with a reliable payment gateway. Even after you’ve sold something on your Ecommerce website, a confirmation of ‘Successful Transaction’ through email, which adds credibility to your business, is also an essential part of online selling. 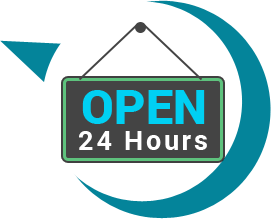 Being an online shop, it is crucial that you make it easy for your customers to contact you whenever needed. 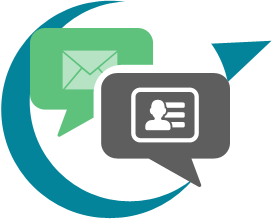 The contact form is the one place where the user is directly coming to contact your store and in order to increase your ecommerce conversion;it is indispensable that you design this page with sheer expertise and precision. Display your contact information in a neat and bold manner on all your ecommerce site pages; if your customers have to beat their brains to find a way to contact you then it can be bad for your sale. Don’t limit yourself to creating a page that just shows your phone number and the address, be creative and add reviews, social share icons, testimonials, reviews, FAQs and other things to keep the user engaged. Remember, an intuitive and effective contact page is a sure-shot path to increased conversion, which is the Holy Grail for any ecommerce website. Existing buyers of your ecommerce site are a gold mine when it comes to increasing sales. 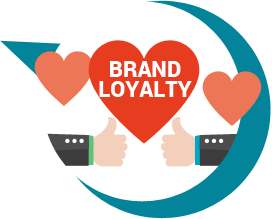 Build your brand loyalty among your present users and bring them back whenever possible. According to human psychology, a user trusts to click on the buy now button on the website when he/she has made a number of visits there; and you need to encash this psychology. Lookouts for ways to get your users come back to your online shop time and again to get more brand-loyal buyers. One such way to do so is by sending personalized emails and messages. Keep reminding them about your ecommerce site and make them a priority when launching any type of marketing campaign. A number of users abandon the cart at the last moment because of the lengthy or time-consuming checkout process. Your checkout page should be simple and smooth to encourage sales. A cluttered and clumsy checkout page is a big NO for any ecommerce site as it can scare away even the most eager buyer. Reduce the number of fields, increase the payment options, allow guest checkout and make sure that you clearly specify the added cost beforehand to increase your sales. Moreover, ensure that your checkout page is secured and show trust symbols like McAfee or VeriSign to ward off any trust issues from the mind of the shopper. The worst thing you can do to your ecommerce site’s reputation is let it become non-operational. Ensure that your site is up and performing all its functions with utmost perfection all the time. A good hosting plan is a must to prevent any type of malfunctioning on the site. It should not only be capable of handling any type of future updates but also grow with your business. Upgrade your hosting plan immediately if you feel that it is not completely satisfying your needs. A hosting plan that is incapable of handling all your orders and the future increases can have a visible negative impact on your sales. 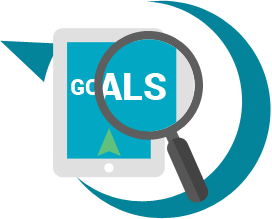 A fully controlled data is a must to get higher ranking on various search engine result pages.The keywords that run through your page, whether they are in the metadata, the title tags, or the mere content, should be customizable so that you can change it, when required, to rank higher. It is also crucial for you to have a sitemap.xml file to make your page easy to crawlby the web spiders of various search engines. Being the owner of your ecommerce website, make it a point to analyze your site’s performance from time to time to ensure that it is working as per your requirements. Have a customizable dashboard for your commerce site which enables you to keep a check on the stock items, sales figures, information requests and the performance metrics. Manage all your website data like the shipping orders, checkouts, and much more to stay updated on your ecommerce site. 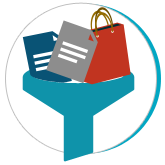 Stats show that around 65% of the visitors on E-commerce Websites abandon Shopping Carts without completing a transaction. 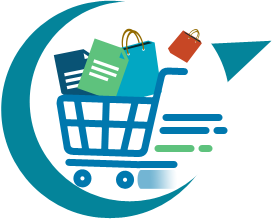 With our extensive range of Shopping Cart Solutions, we provide you all the power to reduce this percentage and achieve high Shopping Cart Conversions and Sales. 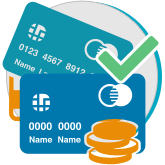 Empower the visitors on your E-commerce Website with safe, easy and fast payment methods. With our Payment Gateway Integration services, you can present your customers with secure and hassle-free payment gateway for a Quick Checkout experience and add value to your E-commerce business.